If you currently breed Basset Hounds, or are considering becoming a breeder, this school has been designed to help you to obtain a deeper understanding of the Basset Hound breed, it's standard and the art and science of dog breeding. This Guide will give you a good overview of the Basset Hound, it's care and well being. In addition to the Self Correcting Quiz below, there is a printable quiz on the Basset Hound Breed Standard Flipbook. This course is designed to familiarize you with some of the most important articles written about the Basset Hound. The articles will help deepen your knowledge of the Basset. Written by Randy Frederiksen and filled with valuable rare photographs, this publication is an important chronicle of the history of the Basset Hound. 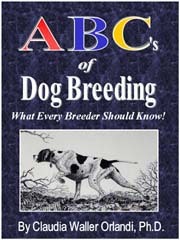 Based on the official AKC Breed Standard, the official Judges' Education Seminar and the Pocket Guide to the Basset Hound, the Illustrated Standard is published with the intent to educate Owners, Handlers, Breeders and Judges of our breed in evaluating the unique and essential traits of the Basset Hound. The official BHCA Judges’ Education Seminar CD based on a Presentation by Col. Robert E. Booth. 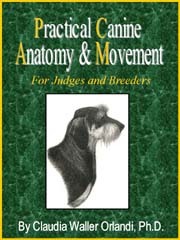 This is a valuable tool for Owners, Breeders, Handlers and Judges. You may choose to watch this video in full screen format. A practical, step-by-step approach to the art and science of breeding focusing on 7 key tools and concepts. These include genetics, breeding systems, pedigree, selection, anatomy, kennel blindness & genetic defects written by Claudia Waller Orlandi, Ph.D. This program summarizes key anatomy concepts that judges & breeders should know and focuses on surface and skeletal parts of the dog within the context of structural balance written by Claudia Waller Orlandi, Ph.D. If you would like to continue to learn about the Basset Hound, explore the other schools available on the BHU website. Information regarding future events, membership in the BHCA, finding a reputable BHCA Member Breeder, and information regarding the BHCA Member Clubs is available on the BHCA Website.